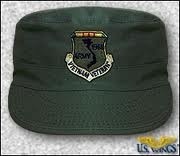 A few days ago my best friend from high school sent me a ‘Viet Nam Veteran’ cap. I never had one of these before, and I was pretty hyped about it, especially because my friend was considerate enough to take the time to give it to me. Yesterday, I wore it when I went to Walmart. There was nothing in particular that I needed at the world’s largest retailer; but, since I retired, trips to Wally World to look at the Walmartians is always good for some comic relief. Besides, I always feel pretty normal after seeing some of the people that frequent the establishment. But, I digress…enough of my psychological fixations. God forgive me, but I couldn’t pass up such an opportunity. “1936,” I answered as straight-faced as possible. This was beginning to be way fun! After checking out and going to the parking lot I saw Dimwit leaning in a car window talking to a young woman. Upon catching sight of me he started pointing excitedly in my direction. Giving him another ‘deadly’ serious look, I made the ‘I see you’ gesture . He turned kind of pale, jumped in the car and sped out of the parking lot. 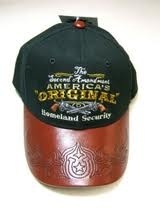 Tomorrow I’m going back with my Homeland Security cap. ← Good Information for All of Us!